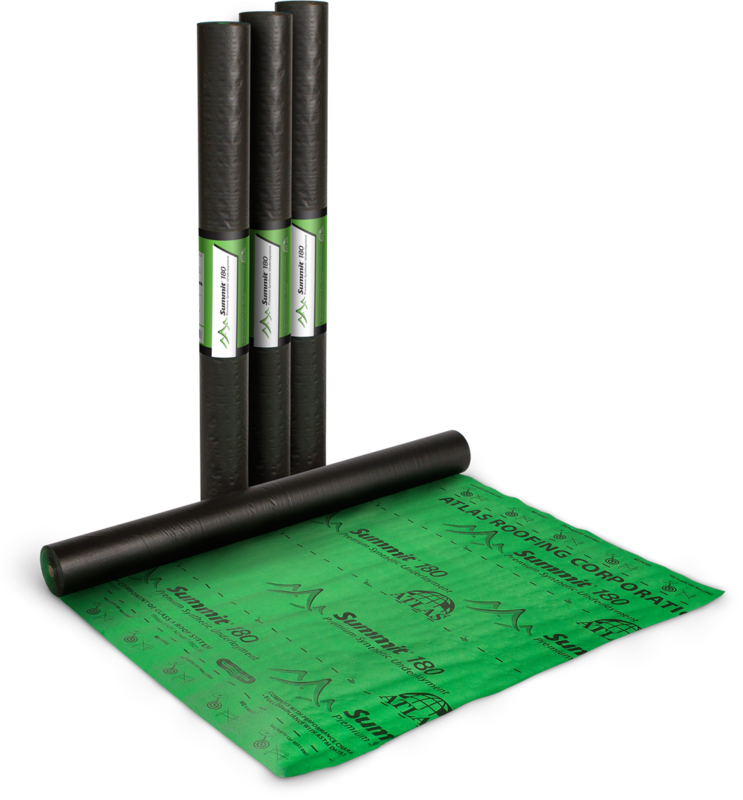 Peel & Stick underlayment – Self-adhering SBS modified peel & stick underlayment is appropriate for a variety of applications, including asphalt shingles. SBS asphalt results in this underlayment self-sealing around fasteners, such as cap nails. Peel and stick underlayment has a variety of non-skid top surfaces that include granular, polyester and film and are fiberglass-reinforced. Atlas Peel & Stick products include WeatherMaster Ice & Water 100, 200 and 216; WeatherMaster Pro-Grade Ice & Water, WeatherMaster Flexible Ice & Water, WeatherMaster Tile, and WeatherMaster Nailable. Atlas recommends the use of any of the above underlayments to be used under Atlas asphalt shingles.